You can find the Day 1 giveaway here! 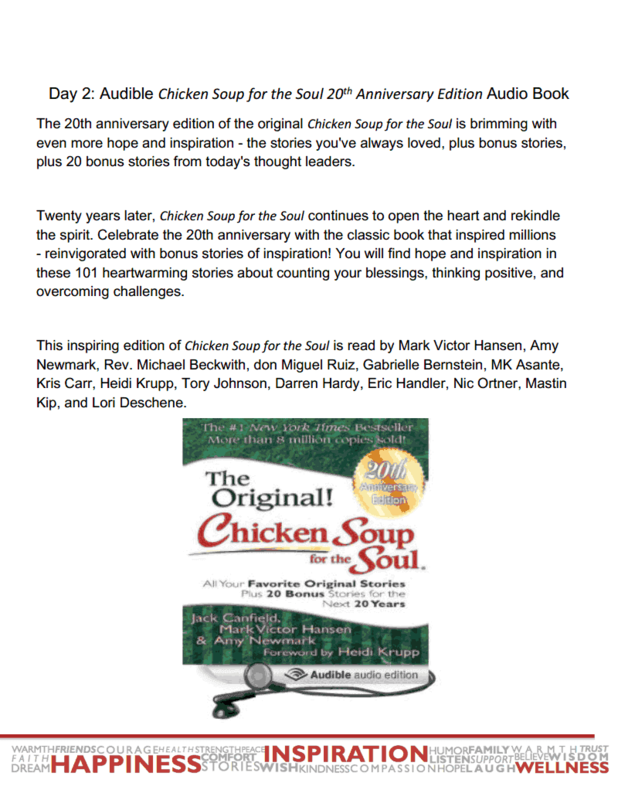 Today the giveaway is an audible edition of the original Chicken Soup for the Soul! Click on the image below to read all the details and fill out the form below to enter!